This luxurious executive 3 bedroom 2.1 bath townhome is located in a small exclusive complex in downtown Oakville on a private one-way street overlooking Sixteen Mile Creek. 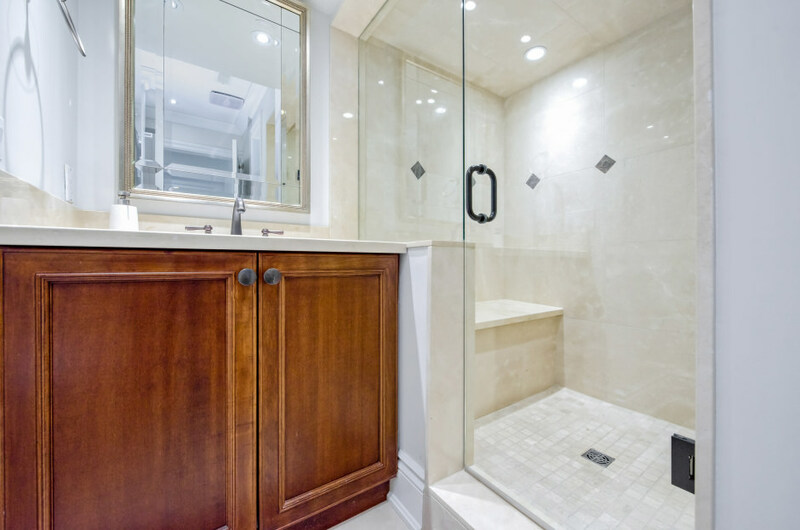 Detailed trim work, built-ins, pot lighting, crown moulding and high baseboards are used extensively throughout. The entrance to this luxury townhome begins with a sunken foyer that leads to the gourmet eat-in kitchen featuring granite counters, breakfast bar, soft closing cabinetry and the finest of appliances including a Wolf gas cook top, Miele ovens, Sub-Zero refrigerator & freezer, wine fridge and a Fischer-Paykel dishwasher. The sun filled living/dining room offers beautiful coffered ceilings, hardwood flooring, wood fireplace with marble surround, built-in speakers and walkout to spacious covered balcony. Take the spiral staircase to the second level that leads directly to the spacious family room with gas fireplace, Juliet balcony overlooking Sixteen Mile Creek, coffered ceiling, built-in speakers and built-in office desk. 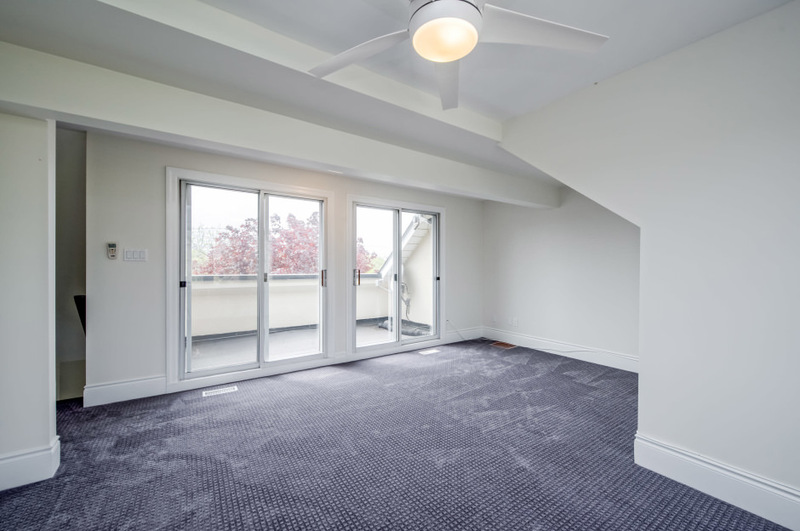 The 2nd bedroom is found on this level with 3-piece ensuite with walk-in glass shower with bench seating, walk-in closet, laundry and walkout to large covered balcony. Continue your journey up the spiral staircase to the third level where you’ll find the master bedroom with spacious walk-in closet, double door walkout to large covered balcony and a luxurious 5 piece semi-ensuite which includes a Maax Jacuzzi tub, heated floors, his & her sinks and walk-in glass shower. The 4th level receives lots of sunlight due to exposure from both northern and southern views and can be used as a 3rd bedroom, office or den. The double door entrance to the rooftop terrace makes for great relaxation under the sun while enjoying breathtaking views of Sixteen Mile Creek. The fully finished lower level includes an office space, 2-piece washroom, utility room and entrance to a double car garage. This wonderful townhome offers great curb appeal from the professionally landscaped front yard with wrought iron fence, stone walkway, covered porch, stone/stucco exterior and balconies. 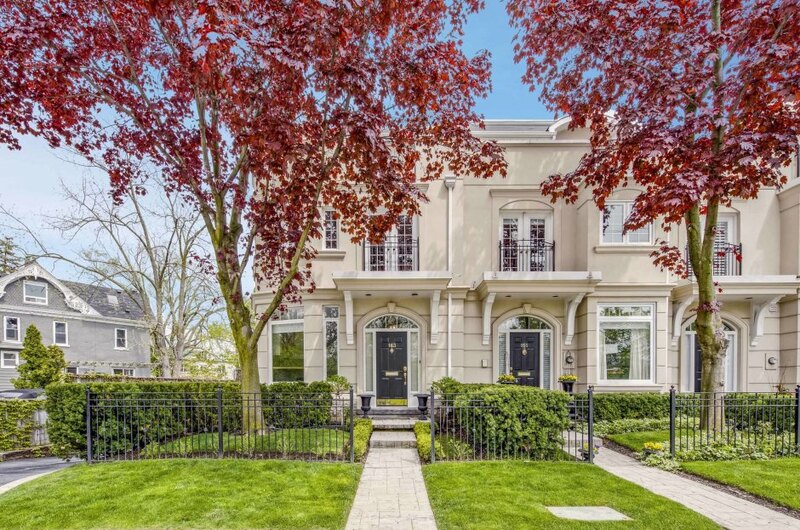 Located in one of Oakville’s most sought after neighbourhoods. Easy walking distance to Oakville Harbour & Oakville’s downtown shops, restaurants, parks and transit. Residents contribute to a quarterly fee that covers snow removal, lawn maintenance and window cleaning.